Simply log in to your TheTruthSpy control panel from anywhere with an internet connection. Browse through the easy-to-use control panel to see all the data uploaded from the target device. Look at all the multimedia straight from the control panel or download it for later. Do you want to see all the uploaded data from your target phone in one central location? Do you want all the information to be accessible from anywhere? 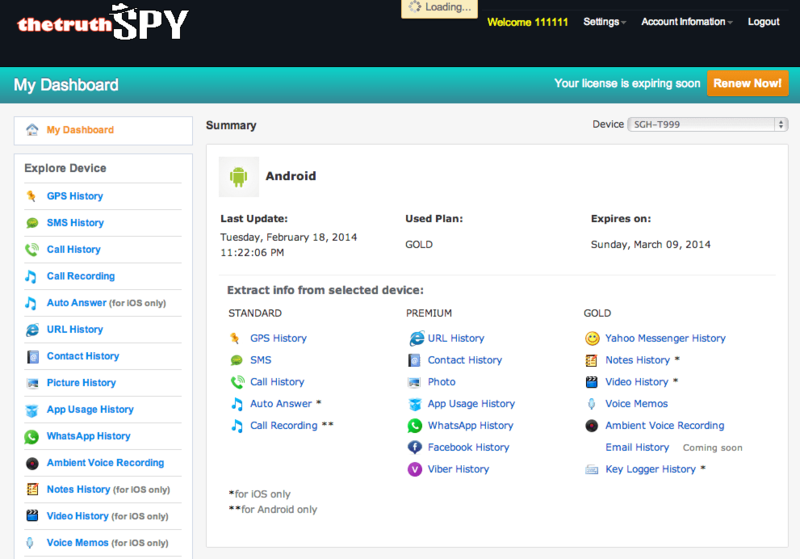 The TheTruthSpy control panel makes getting access to your monitoring data a simple task. You simply log in form wherever you want to and you can view all the data collected from the target device.